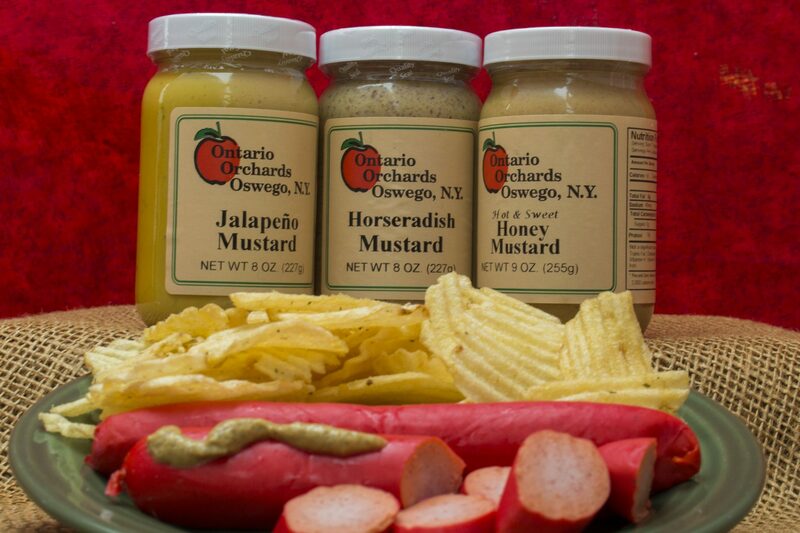 Add a touch of spice to your food from Ontario Orchards in Oswego, NY. With three great flavors, these local-brand mustards are sure to tickle your taste buds. Our Mustard is great for burgers, dogs, meats, and sauces. Delicious with a kick!